“A person can look at this and relate to it as representative of a period in his or her life," Rodolfo Gan said while pointing at one of his latest paintings. Gan is currently mounting his 11 paintings that explore cubism and geometrism in his latest solo exhibition, entitled "Prism II," at the Upstairs Gallery of Finale Art File. 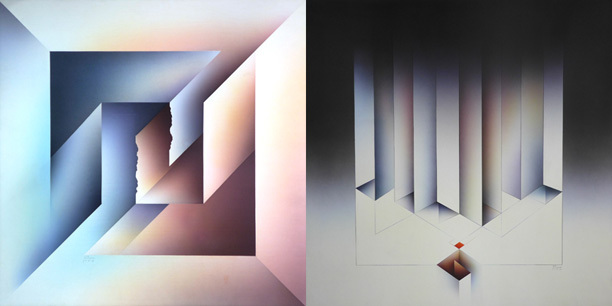 With airbrush as his medium, he created square abstract paintings which feature geometric lines and forms. Geometric abstraction is an art style that uses shapes based on simple geometry. These shapes include straight lines, circles, squares, and rectangles. This style often makes use of bold colors but Gan’s works are unique in that he uses earth tones. “Geometric abstractions were consi­dered avant-garde in the 1970s but now, they are well appreciated by art lovers,” said Gan. Gan, who graduated from the University of Santo Tomas with a degree in Fine Arts, said his inspiration includes the works of the local masters like Fernando Zobel, Lee Aguinaldo, and Roberto Chabet—the latter is considered the father of Philippine conceptual art. He said Chabet was the one who encouraged and inspired Gan to be an artist while the latter was a teacher at UST. As a young artist in the 1970s, Gan won a number of local and national art competitions. 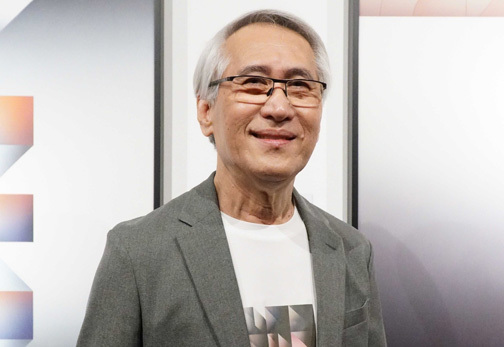 He also exhibited his works at the Cultural Center of the Philippines and had his first solo exhibit at the Luz Gallery in 1972, during which he was named one of the CCP Thirteen Artists. Throughout the '70s, Gan was an active artist who took part in exhibitions here and abroad, most notable of which was representing the Philippines at the 7th Paris Biennale and the ASEAN collection exhibitions in Israel, Jakarta, and Hong Kong. 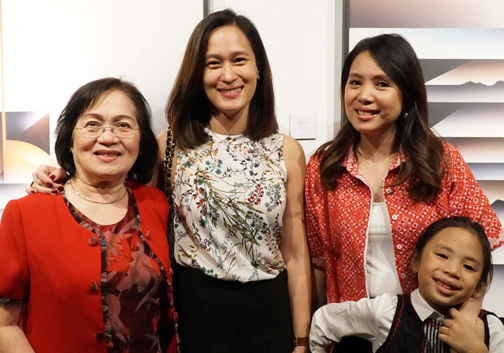 Lillian Gan with daughter Aileen Gan and family friend Niña Corpuz with daughter Emily. Prism II is on display until Feb. 11 at Finale Art File in Warehouse 17, La Fuerza Compound, 2241 Chino Roces Ave., Makati City.